TfL (Transport for London) controls the vast majority of transport across London. TfL’s complex transport strategies help to keep England’s capital running in an efficient manner. So, how does one become a part of this? In this article, we’ll answer all of your questions about TfL recruitment! TfL stands for Transport For London. TfL is a governmental body who are responsible for managing most of the transport systems across London. Established in 2000, they supplanted London Regional Transport, and in 2003 were given responsibility for London Underground. WHAT KIND OF JOBS ARE AVAILABLE IN TFL? The variety of jobs available mean that TfL are recruiting all kinds of people, with all different qualifications. This is great news, as it means that YOU have an excellent chance of securing a career. Assessment Centre, including group exercises, written exercises, presentation and role play. Please note that this could vary depending on the job that you are applying for. You may be asked any number of these stages, in any order. In the next few sections, we will break all of these stages down in detail for you, and give you some top tips on how to pass. Before we start though, take a look at the next section for a crucial piece of advice. The first stage of the process is to fill in the online application form. You can find this via the TfL website, or simply by conducting an Internet search for TfL vacancies/the role you are applying for. You’ll be asked a series of basic questions about your personal details in order to check that you are eligible for the role, including questions on your education and work experience. This is a fairly simple exercise to complete, but it’s important that you fill in all the details correctly, and don’t lie. You will be caught out later in the process for this, resulting in you being rejected. Q. 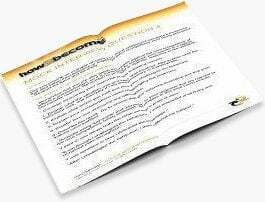 Every single person on your team has been given access to bonus training material, apart from you. What would you do? A – Assume that there has been an error, and go and speak to your manager. B – Angrily confront your manager about why you have been treated so unfairly. C – Steal the bonus material from one of your colleagues. D – Take your complaint to the human resources department. E – Quit your job. The next stage in the process is the online ability test. The nature of this test will depend on the job that you are applying for, but the vast majority of roles will require you to take a numerical reasoning assessment. Engineers will sit an inductive reasoning test. So, what is a numerical reasoning test? In basic terms, a numerical reasoning test will measure your ability to make decisions based on numerical and statistical information. This is something that TfL employees will need to put into practice on a regular basis. Before you take the test, you will be given the chance to familiarise yourself with numerical reasoning via a series of practice questions. This basic test is also good practice for later in the process, where you could be asked to take further and more difficult numerical reasoning assessments. Below we’ve included a sample question, which is indicative of the type of exercise that you will be asked to take in this test. EXPLANATION = the set of data is for 10 people. 3 people passed first time, so therefore: 10 ÷ 100 x 3 = 0.3 or 0.3 x 100 = 30% or simply 3 out of 10 (3/10). Following your online ability test, you will be asked to sit a video or telephone interview. A video interview is an electronic interview that allows the interviewer to speak to you face to face, without needing actually to be there in person. A telephone interview simply involves the interviewer asking you questions down the phone. For some candidates, this can be very off-putting. They are thrown off by the fact that instead of being interviewed in person, they have to speak through a phone, microphone or webcam. Don’t be! The reality is that this interview is not much different to a normal interview. The biggest mistake many candidates make is that they don’t treat it like this. As with any interview, preparation is key. Make sure that you wear the exact same clothes you would wear to a formal interview whilst on camera, and regardless of whether you are on camera or not, find a quiet room/place to take the interview in. There is nothing worse than being thrown off or momentarily distracted whilst the interview is taking place. Generally, this interview will last around 15 minutes, or 20 minutes maximum. You will have been sent an email beforehand informing you of what you should expect, so make sure you read this through carefully. 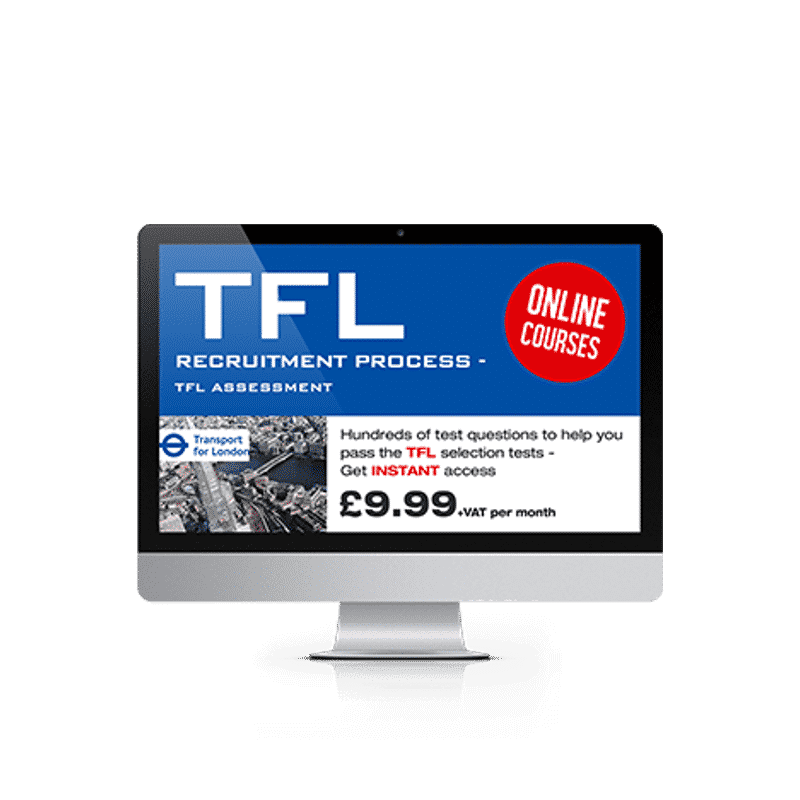 There is a chance that you may be informed on whether you have been successful at the end of the interview, but it is more likely that you will have to wait a few days whilst TfL come to a decision. If you’ve made it to this stage, then you’ve probably met the requirements for the role. In the supermarket application interview, you’ll be asked some final questions by interviewers so that they can get an understanding of who you are. If you’ve already taken personality questionnaires and competency tests, then they probably already know quite a bit about you and how you’ll fit in with other staff at the company. This final interview is used to confirm what the interviewers may have already believed. Remember to bring an understanding of the core competencies and core values to this interview, since interviewers will want to know how you’ll deal with given scenarios based on the values that the company holds. The first exercise that you may have to face, is the group exercise. A group exercise requires you to work with other members of your team, to come up with a solution for a problem. When working in a group exercise, what counts is your individual input to the team. Essentially, you need to demonstrate that you have the ability to work with others, lead when necessary, contribute quality and logical points, persuade and communicate with other people, all without detriment to the group as a whole. Therefore, you won’t get any points for bullying or shouting at other candidates. You need to show that you are calm, reasonable and logical in the face of adversity, and that you can respect the opinions of others. In some cases, each member of the group will be given a specific role to play, and pre-written advice on what they should be aiming to get out of the meeting. This is a very basic example, and you’ll be given much more information, but hopefully this should give you some idea of what to expect. In this particular question, you will likely be paired up with other hypothetical members of TfL, all looking to make their own case. You’ll need to persuade these people to take your point of view, or work with them to change theirs. Q. Identify (circle) the mistakes in the paragraph below. There are 7 in total. Every day, my moter goes to the supermarkat to buy bread. She purchase’s 3 loaves in total – one French, one English and won Italian. My father is from italy, but hates the taste of Italian loaves. He says that they are to crunchy, too spicy and too grainey. moter, supermarkat, purchase’s, won, italy, to, grainey. Next, you will sit a diagrammatic reasoning test. This test will consist of questions that relate to sequences, shapes and patterns. Every question will require you to fill in the missing step or image, using the selection of answers provided. It’s extremely important that you prepare well for these tests, because you really can. Unlike the role play, you can practice logical reasoning for months and months prior to the assessment, thereby ensuring that you are totally familiar with the test before it even takes place. Below we have included a sample question from this type of assessment. Q. Work out which option fits best in the missing square in order to complete the sequence. Explanation = Every even square has triangles pointing in the right direction, every odd square has triangles pointing in the left direction. The sequence progresses by the triangles getting bigger each time. The next stage is a numerical assessment. Again, this can vary, but you are likely to be given 1 of 2 exercises. The first exercise could be similar to what you have already sat, but to a more advanced level. Again, you’ll be required to interpret data and information, but this time there will be more questions and less time in which to do it. The other test that you could be asked to take is a ticket inspection test. In this exercise, you will look through a series of replica train tickets, and must read the information provided to check whether the ticket is valid or contains mistakes. Q. Two adults have just arrived at the theme park on the 28.08.14 during peak hours. They have just bought two 1 day tickets for two adults. You give them their receipt. Q. You have just served an adult and a child on the 07.06.13. The customers arrived during off-peak hours and purchased the 2 day tickets. You hand them their receipt of proof of payment. Have they received the correct receipt details? Following this, it’s time for the role play. This is an exercise that intimidates a great number of candidates, and for good reason. The role play can be excruciatingly difficult, mainly because it is so hard to prepare for. If you aren’t familiar with role play exercises, here is the format. Firstly, you’ll enter a room containing an assessor and a role play actor. You’ll take a seat, and then the exercise will begin. Prior to the exercise, you will be briefed on the role that you are playing. The actor will also be given a part to play, usually of a difficult customer or someone who is unhappy about something. It is your job to deal with their (hypothetical scenario). Just as in the group exercise, it is imperative that you do not get angry or frustrated during the role play. You need to show that you are a calm, reassuring and logical person, who can deal with any issue that comes your way. Q. You are the customer services assistant for TfL. A disgruntled employee has come to you, claiming that they are being harassed by another member of staff. The employee is very angry, and demands to know what you are going to do to resolve their issue. As you can see, the role play actor will do their best (within reason) to test your limits and make things uncomfortable for you. TfL needs to know that the individuals they are recruiting can cope with difficult customer interaction, and this is a great way of testing that. -How to guarantee great customer service. When conducting your preparation for the TfL assessments, it is essential that you learn about the core competencies. The core competencies refer to the key behavioural expectations that an employer has towards their employees. Nowadays, the majority of employers use core competencies throughout their selection process, in order to ascertain which candidates are most suitable for the role. 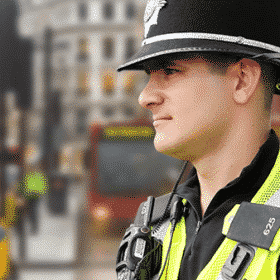 As you progress through TfL selection, you’ll find that these competencies are absolutely imperative to the way you answer the application form, assessment centre questions and the interview. Wherever possible, you should be looking to show the assessors that you understand and are in possession of these competencies. While the competencies may vary according to the position that you are applying for, below we have listed three example competencies that apply to a wide number of TfL positions. Customer Focus. Customer focus is extremely important for employees of TfL. You must be someone who can deal with everyone you meet in a calm and polite manner, make an effort to understand what customers want and need, and be able to recognise how and why customers are important to TfL as an organisation. Communication. When working for TfL, it’s essential that you are a great communicator. You must be able to clarify issues in a calm and reassuring manner, listen to information and then respond accordingly. Financial Awareness. Financial awareness is a core element of working for TfL. You need to be someone who can find cost efficient solutions to problems, without sacrificing the quality of the final product. You must be able to think ahead, and identify the potential implications of future actions. Following the assessment tests, you will be asked to wait, before taking the final interview. This will be competency based, and is structured around your past experiences. A competency based interview tests how well you can demonstrate that you have previously used and understand the core competencies required for the role. Q. Can you give an example of a time when you have demonstrated great customer service skills? ‘In my previous role working as a customer services assistant at my local tailors, I encountered a difficult situation. A customer had come in to pick up his suit jacket, for a wedding that was to take place the next day. The individual in question had paid a premium for next day service and had requested for the suit arms to be taken up. The customer assistant who was on duty the previous day had measured him up and wrote the requirements needed to alter his suit. After greeting the gentleman, I fetched his jacket and offered to help him try it on. When he put the jacket on, it became apparent that the sleeves had been taken up too far. When he noticed this, the man became very angry. Not only had his jacket been ruined, but he now had nothing to wear for the wedding the next day. Taking action, I immediately reassured the man that we would resolve this situation. I made him a cup of tea and then went to fetch my manager. We realised that the assistant from the previous day had taken down the wrong measurements, and this was the reason the mistake had taken place. I suggested to my manager that we should go back to the shop where the man purchased the suit, buy him a replacement jacket and then tailor it while he waited, free of charge. My manager agreed with me, and we returned to the customer with our intended solution. He seemed happy with this solution, and informed us that he was happy to wait whilst we resolved it. I was tasked with finding a replacement jacket, which I returned with swiftly. While it’s important to learn the core competencies and values, as well as revise statistics, verbal reasoning and logical deduction, the best way to do all of them is simply through practice. Since these tests can be incredibly difficult, and you won’t have an opportunity to re-set (outside of re-applying at a later date), you want to pass each test on the first attempt. This online testing suite will give you access to hundreds of practice questions for the numerical reasoning test, showing you what kind of questions you’ll face and giving you the chance to get better at them. With these verbal reasoning tests, you’ll be able to hone your deduction and comprehension skills so that you can succeed in the verbal reasoning portion of the supermarket assessment tests. With hundreds of practice questions, you’ll have the opportunity to strengthen your verbal reasoning skills. Logical reasoning tests (or inductive reasoning tests) can be extremely difficult for candidates who haven’t familiarised themselves with them. This downloadable guide will give you the opportunity to get used to the kind of questions you might face, as well as the chance to improve your logical reasoning. Get INSTANT ACCESS now for only £9.99+ vat per month.